We are proud to offer an Aquatic Centre featuring a 25m pool and dive pool with 1m and 3m spring boards and a separate learners pool which provide for a range of programs for students of all abilities attending ELC, Junior and Senior School, as well as those in our neighbouring community. 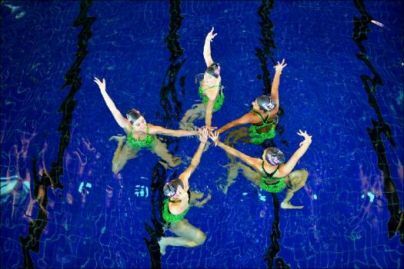 Our staff are qualified, experienced and committed to supporting the many programs offered in the Aquatic Centre, providing the highest standard of teaching to ensure students’ lessons are rewarding and enjoyable. 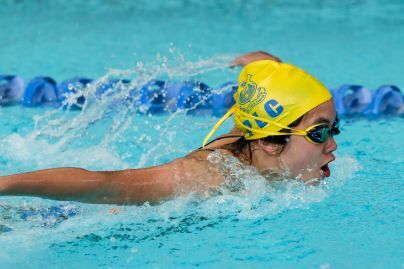 We offer Learn to Swim programs, Club Swimming, Diving and Synchronised Swimming alongside the school’s aquatic programs for Junior and Senior School students and the GSV programs of water polo, swimming and diving. Our Aquatic Centre offers Learn to Swim and Water Safety programs for infants through to adults, catering for beginners through to squad level swimmers. The program incorporates water familiarisation, water safety and survival, deep water experience and stroke development with an emphasis on stroke technique. Term lessons are held on Monday, Wednesday, Thursday and Friday afternoons from 3:45pm to 6:45pm and Saturday mornings from 8am to 11:30am for children from three years of age onwards. The Infant and Toddler program is held on Saturdays at 11.30am, 12pm and 12:30pm. Learn to Swim and Water Safety holiday programs and Introduction to Diving and Synchronised Swimming Programs are held in the January, Easter, July and September holidays. 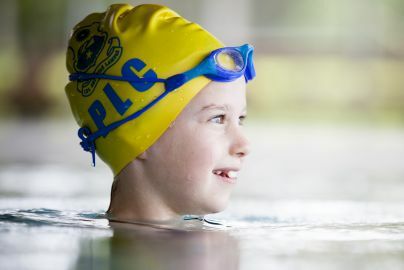 The PLC Aquatic Club supports PLC students and members of the wider community with Swimming, Diving and Synchronised Swimming training and competition opportunities. The Club provides full support to all levels of training and competition at the club level through to national level. Aquatic Centre patrons are asked to park in the Senior School parking area. Entry is via Gate 4 in Parer Street.